I was reminded by an Info graphic on Face book about putting your power into the hands of other people. 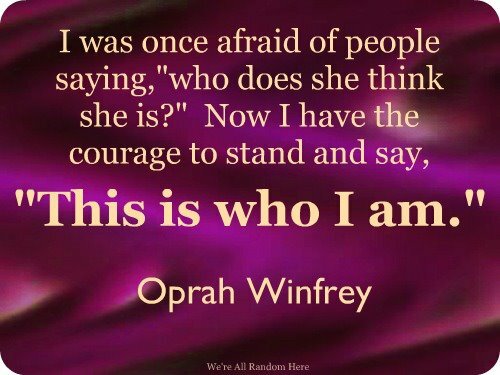 Specifically about being afraid of what other people think about you. The presupposition being an idea that Other peoples opinion of you is more important than what you think about you. We have in many ways been taught that as an unconscious lesson. It is however a powerless position, because you are then seemingly at the mercy of people and their good or bad Judgment about you. Does that mean you are not good enough ? Surely this is exhausting ! I had a lot to say about this because I used to care so much about what people thought about me. It was an endless parade of trying to fit into the parameters of what they (People) deemed acceptable for me. But the trouble is the Goal post kept moving. As I managed to squeeze into one of their boxes they would set up another, I couldn't keep up! 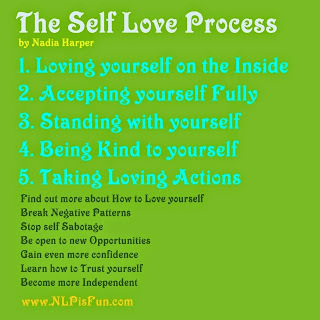 This is why I designed The Self love Process. This external and Inner critic that finds something wrong in all you do can also become an anticipation.You may have been doing this your whole life and so much so that you believe somebody is to blame for this. Instead of focusing on Blame, Focus on feeling better. Filtering differently is essential to renew your personal power. You can re-frame this and just stop doing what makes you unhappy in other words just value yourself. Truthfully, I had to just learn how to breathe and focus on what would I like, and how do I feel about myself. Take the spotlight off them and bring it back to the fact that you deserve to express yourself however you like. This truly is a Self esteem issue. As you build up your own Self worth your perceptions will change about "Trying to fit in" and "Make yourself small" for others. I gave it a great deal of thought since 4 years later it popped up again on my time line review asking me if I would like to share it again or ignore it. It was a great way for me to think about how I personally had evolved since first posting it. Not only this,it is just a few Days since Prince died at just 57 years old. I loved Prince to me he was an original who believed in himself in the most extraordinary way. He committed to his process and to living the life he preferred. He wasn't afraid to completely switch it up at any time and he was extremely graceful while doing so. I have seen him live three times and his death impacted me in a way that I wanted to share with others here is what I said.
" I saw Prince 3 times and every single time he was literally amazing. The second time I saw him I got the chance to go on a very small stage with him as he serenaded us with Guitar and song. Of all the musicians I have seen Live, I think he was probably the most talented. He did his own thing and whatever he did, he was a perfectionist, he certainly was a real artist. So beautifully the time line graphic coincided with what I had taken from my experiences of Prince and how he lived. Do you allow other people to decide your life for you or do you live your life on your own terms. Even if people have no respect for you, undervalue you or are unkind to you. Do you allow them to become more important than you especially when they are Bullying you into submission and are still not and never could ever be satisfied. I have heard and experienced so many accounts of people who have been relentlessly emotionally abused through criticism by others who do their best to control how you are living so that they can feel better about you. It can be Family, Friends, Partners, Children, Spouses, Church / book club members you name it. A person who is Bullying you doesn't care about you understand that part first. In 2010 I made this Video in response to the "It gets better" campaign against bullying people who are different and you can watch it here . Ask yourself "How can you even think of wanting to confirm to their ideas of what you should be". Would that be living your life as if you are really Living ? or do you listen to your heart and make your way back to you and what you know is right for you. Do you dare to live as if you really mean it shining your own light or live in fear of them rejecting you. Who you think you are is what matters and daring to be your best self and go for it. Do you have something really great to share with the world ? Does what other people think about you stops you ? 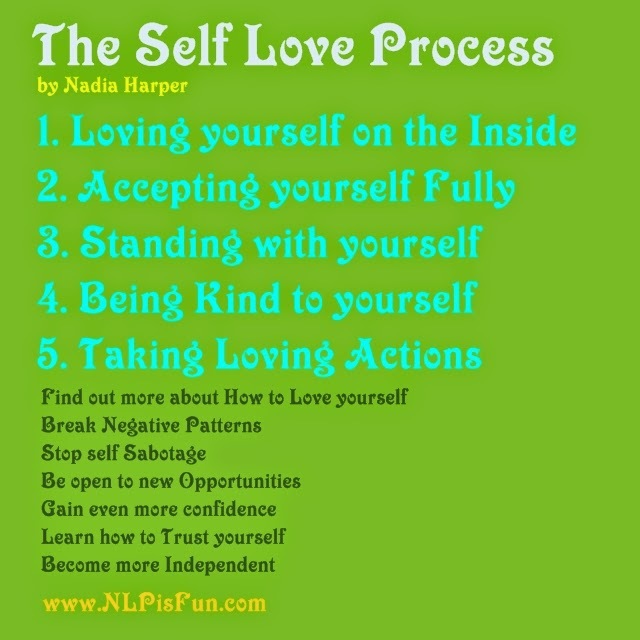 Let us consider another angle: here is a reminder of what The Self love Process wants you to focus on. Most importantly if you forgive them and yourself you will feel miles better. Holding them into the energy of their rotten behavior keeps this association going. Remember Perception is projection. Imagine something great for yourself instead.